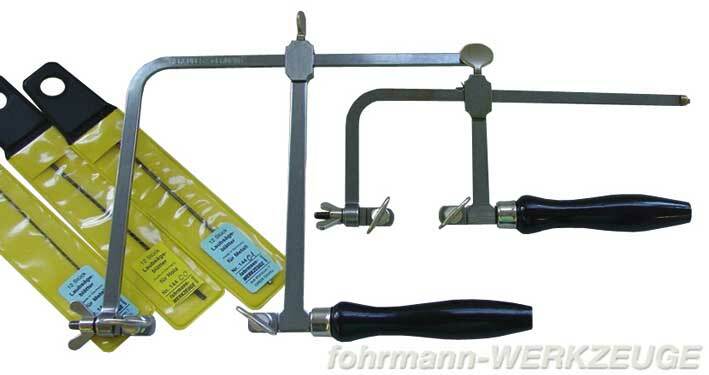 Product information "Jeweller's saw (fret saw) with head collar screw"
Jeweller's saw bow with head tensioning screw in different tension lengths. Besides the offered saw blades we also have saw blades in different toothings in our assortment. The fretsaw blade is fixed between the two wing nuts. The blade is then tightened with the screw of the bow. Afterwards you get the correct tension on the saw blade with the head collar screw. 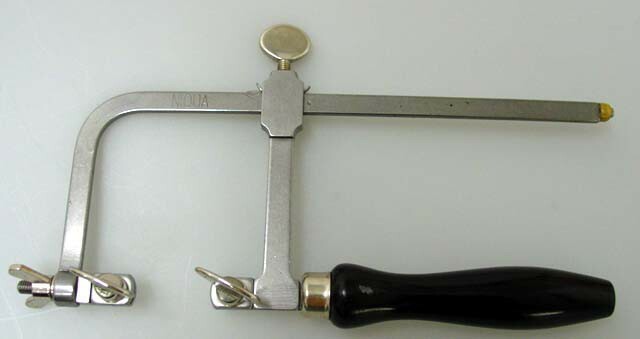 Related links to "Jeweller's saw (fret saw) with head collar screw"
Customer evaluation for "Jeweller's saw (fret saw) with head collar screw"